Lazy Days of Summer...Spend them on your covered deck or patio of this all brick ranch overlooking a HUGE rear yard where privacy abounds with privacy fence, 2 sheds and large mature trees. Spacious living room with hardwood floors is adjacent to the updated eat-in kitchen with all appliances to remain. 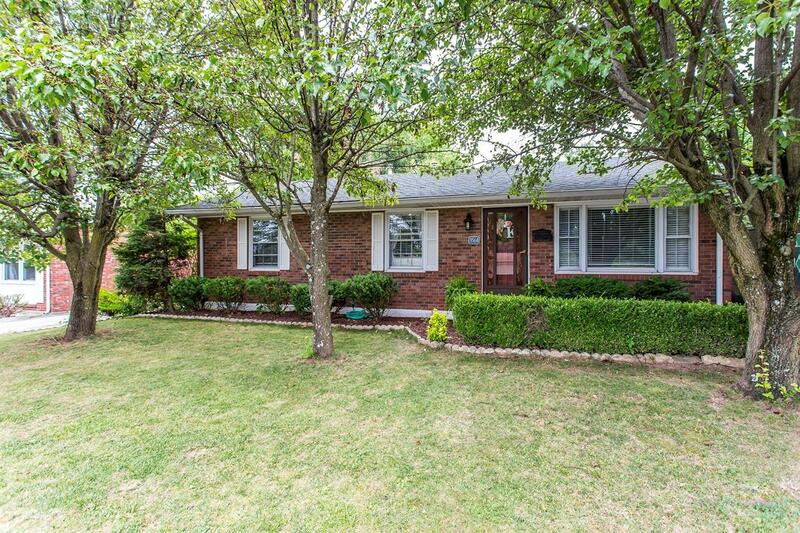 All 3 bedrooms feature hardwood floors and wall closets with 1/2 bath off master. Hall bath features newer tile surround with vanity shelf. Loads of windows and lots of natural light. Convenient to downtown Lexington, University of Kentucky, Tates Creek Center, Fayette Mall and within minutes of numerous restaurants. This home is the perfect choice for one level living!